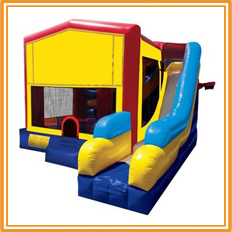 Bounce house and slide combos offer a large area for jumping, a climbing wall and a steep slide making these units very interactive. 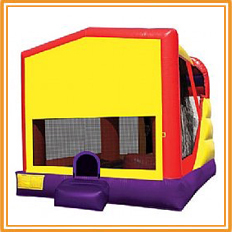 These Inflatables are much larger than a standard bounce house and are great for kids big and small. All bounce and slide combos are cleaned, sanitized and properly installed for the safety of your guests.